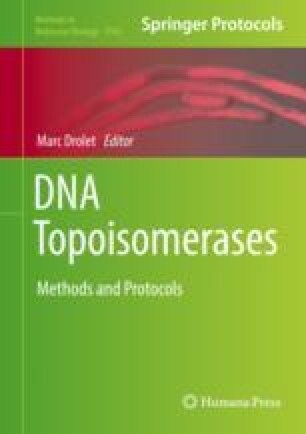 Ribonucleotides incorporated into DNA by the DNA polymerases can be incised by Topoisomerase 1 (Top1) to initiate removal of ribonucleotides from the genome. This Top1-dependent ribonucleotide removal has been demonstrated to result in multiple forms of genome instability in yeast. Here, we describe both quantitative and qualitative assays to identify mutations and other forms of DNA damage resulting from Top1-cleavage at unrepaired genomic ribonucleotides. The online version of this chapter ( https://doi.org/10.1007/978-1-4939-7459-7_17) contains supplementary material, which is available to authorized users. We thank Mercedes Arana and Salahuddin Syed for thoughtful comments on the manuscript, and all Kunkel lab members for helpful discussions. This work was supported by Project Z01 ES065070 to T.A.K. from the Division of Intramural Research of the National Institutes of Health (NIH), National Institute of Environmental Health Sciences (NIEHS).